Add President Obama to the list of prominent people offering kind words about Dave Goldberg. 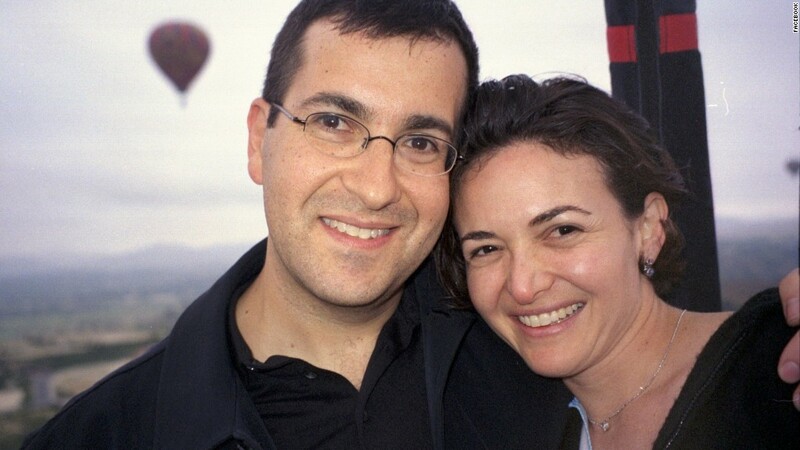 The president on the White House's Facebook page drafted touching memories of the late SurveyMonkey CEO and husband of Facebook (FB) executive Sheryl Sandberg. "His skills as an entrepreneur created opportunity for many; his love for his family was a joy to behold, and his example as a husband and father was something we could all learn from. We're heartbroken by him leaving us far too soon - but we celebrate a remarkable legacy." Goldberg died Friday after collapsing while on vacation in Mexico, according to the prosecutor's office in Nayarit State. While using a treadmill, Goldberg appeared to have fallen and hit his head. He was found shortly thereafter, still alive.